Sweet and sensuous; just like summer. 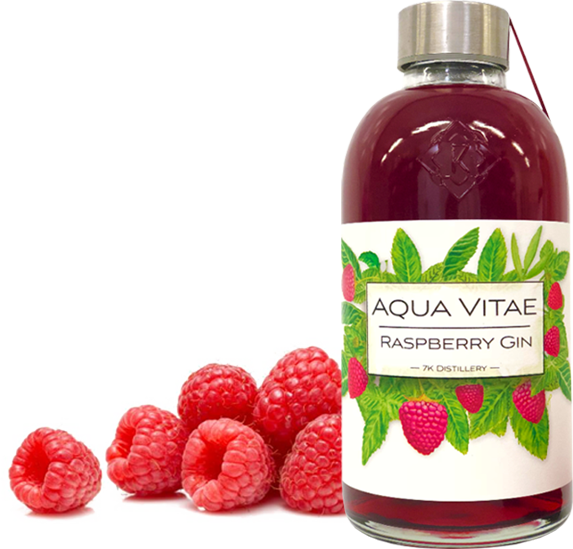 Aqua Vitae: Raspberry Gin is a sweet, yet refreshing, mixture of vapour-distilled anise botanicals and Tasmanian-grown raspberries. We wanted to create a perfect ‘summer’ spirit with a sweet finish that could be enjoyed just by itself on ice, without any need for a garnish or mixer. Raspberries offer the perfect balance of sweet and tangy to be enjoyed standalone. These ingredients combine to create a harmonious taste that is rich on the palate, bringing a sweet and sensuous experience with each sip. With its rich red colour, and sweet raspberry finish, this raspberry gin can be enjoyed by itself on ice, or with a splash of sparkling water.